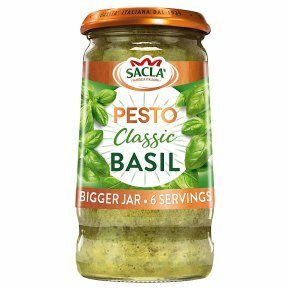 Our Italian family has been making Pesto for generations and this Classic Basil Pesto will add pizzazz to your Italian meals. To create our Pesto, we've pounded the basil leaves with Grana Padano cheese, Pecorino Romano cheese and pine nuts. It's a versatile ingredient perfect on pasta, and just as good with pizza, potato, fish, chicken and salads.